The Bajaj Avenger Street 220 receives a comprehensive revamp for the 2018 model year including revised styling, new digital instrument cluster and possibly ABS too. The Bajaj Avenger range is set to get a overhaul soon and will be introduced with a tonne of upgrades. 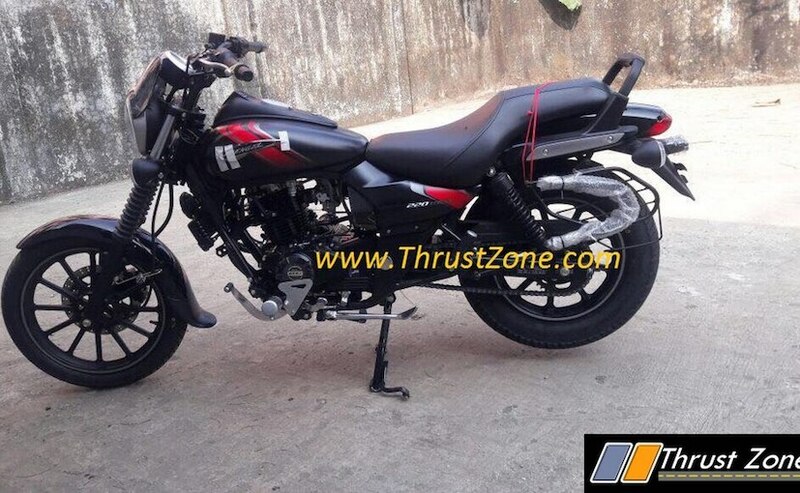 Now ahead of its official unveil, images of the 2018 Bajaj Avenger Street 220 have been leaked online revealing all the changes on the cruiser. While retaining its quintessential design, the updated Avenger Street 220 gets a tonne of styling changes and new features too for a more modern appeal. With the host of changes, Bajaj seems ready to take on the recently launched Suzuki Intruder that poses as a direct threat to the Avenger in the entry-level cruiser segment. 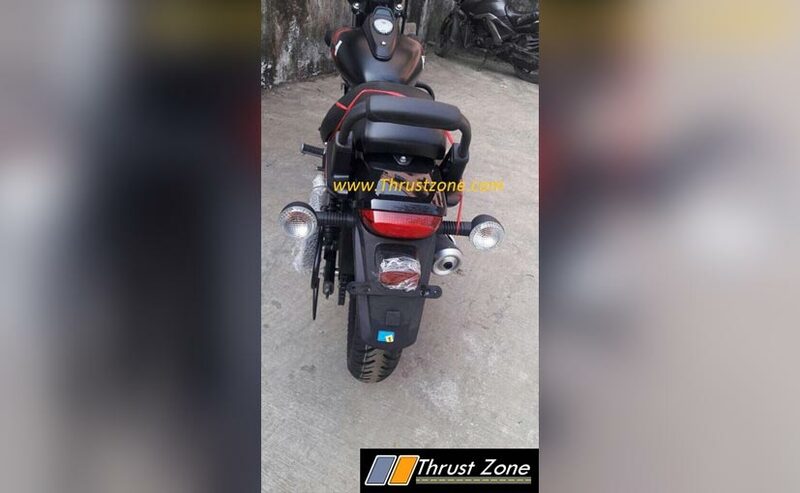 The leaked images reveal styling upgrades to the 2018 Bajaj Avenger Street 220 include new red and silver graphics that seem to be inspired from the Bajaj V15, against a matte black paint job. The headlamp looks new and gets a brushed silver bezel, while also sporting a small fly screen. Another major upgrade comes in the form of the new all-digital instrument console. While the images do not reveal the information that it will display, expect to see a host of new details than earlier. 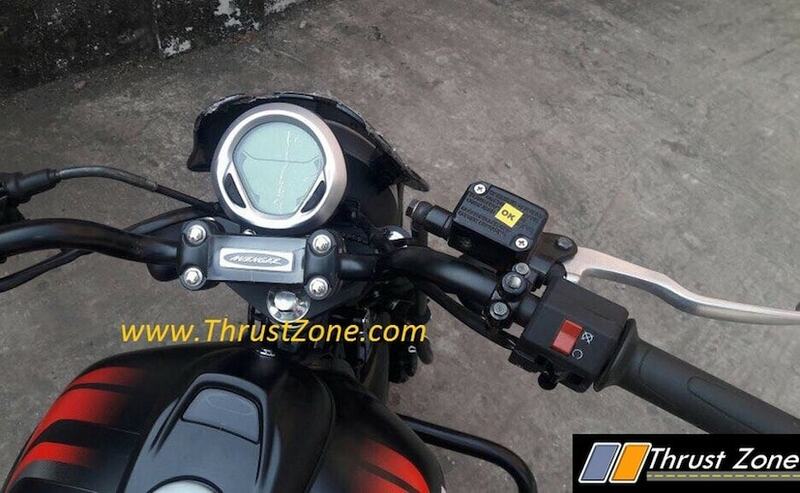 The secondary display unit on the fuel tank is now digital as well and is likely to continue displaying the neutral and battery indicator as well as the Bajaj logo. The switchgear remains the same as the outgoing model on the cruiser. In addition, the updated Bajaj Avenger Street 220 gets a slightly revised design for the side box, while the rear grab rail gets mild cushioning for the pillion. The Avenger Street now gets a sharper looking LED taillight, while the indicators and alloy wheels have been carried over from the current model. The Bajaj Avenger received its last major revamp in 2015 and the changes this time too are substantial. Power though, will continue to come from the same 220 cc single-cylinder, air and oil-cooled BS-IV compliant engine. The motor makes 18.7 bhp at 8400 rpm and 17.5 Nm of peak torque at 7000 rpm. The motor will continue to be paired to a 5-speed gearbox. Other components will remain the same as well with telescopic forks at the front that are now covered with fork gaiters, while the rear gets twin shock absorbers. Braking performance will continue to come from the single disc up front and a drum brake setup at the rear. However, the Avenger Street 220 could feature single-channel ABS as well this time. Bajaj is expected to reveal the 2018 Avenger Street 220 tomorrow, post the Discover 110 and 125 launch, and the cruiser is expected to be priced around ₹ 93,000 (ex-showroom, Mumbai). We also expect the 2018 Bajaj Avenger Cruise 220 to boast of similar upgrades and new colours as well. We will be bringing you all the updates on the new Bajaj range tomorrow from the launch. So make sure to keep watching this space.